These colorful wraps, prepared by Kindergarten students in their cooking class at school, are healthy and so easy to prepare at home. Citrus fruit roll ups make wonderful appetizers that are perfect for entertaining or simply, as a refreshing afternoon snack. Peel and section navel oranges, blood oranges, and mandarins into a bowl, adding all the juices. Arrange lettuce on a platter and top with citrus fruit, mint, and cilantro. 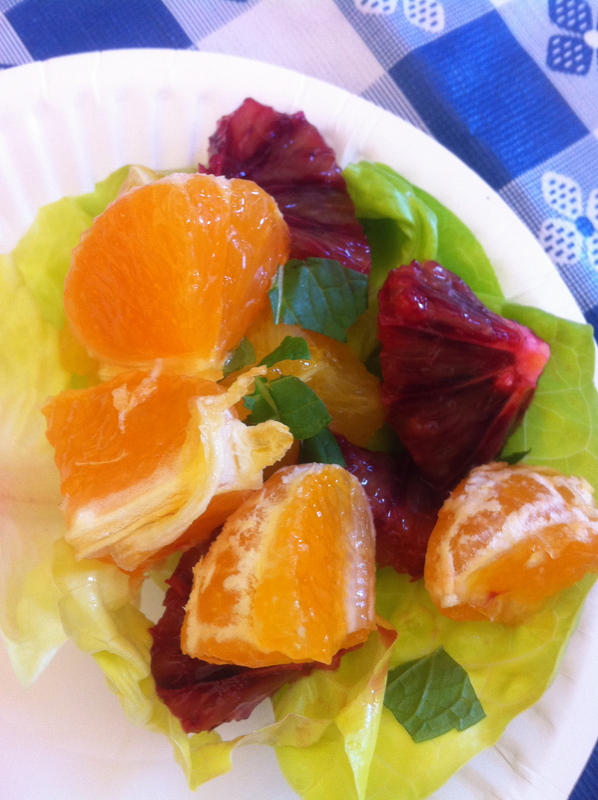 Wrap the lettuce around the citrus fruit and dip into Citrus Sauce. Directions: Put zest, orange juice, honey, vinegar, and honey in a jar. Tighten the lid on the jar and shake it until it is mixed together. Add the sesame oil and shake until it is mixed.